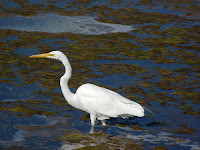 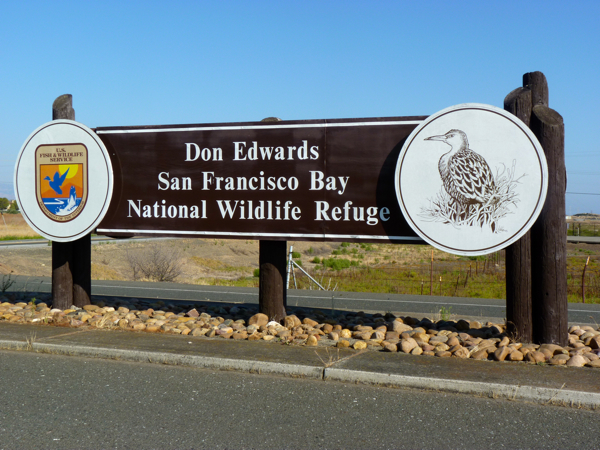 Today I was walked three short segments in the Don Edwards San Francisco Bay National Wildlife Refuge area (south of Highway 84 - east end of Dumbarton Bridge). 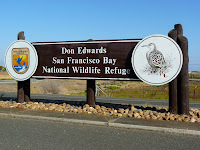 I also had the chance to stop by the Visitor Center at Don Edwards San Francisco Bay National Wildlife Refuge, (DESFBNWR - is sure a long acronym). 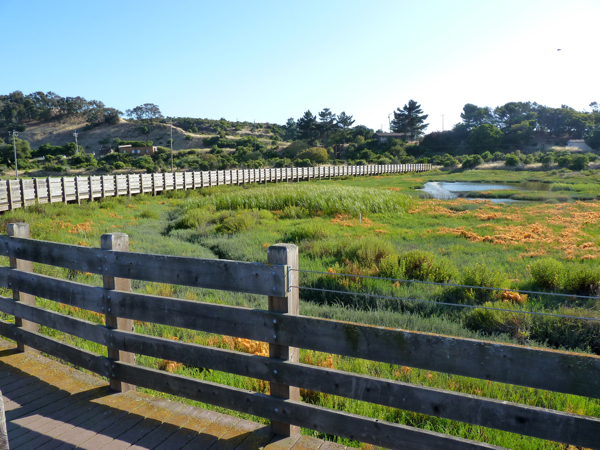 Normally, I walk whenever I have time, and this means I often arrive after visitor hours. So, it was doubly nice to run into Paul Mueller who was manning the Refuge Visitor Center right before closing time. 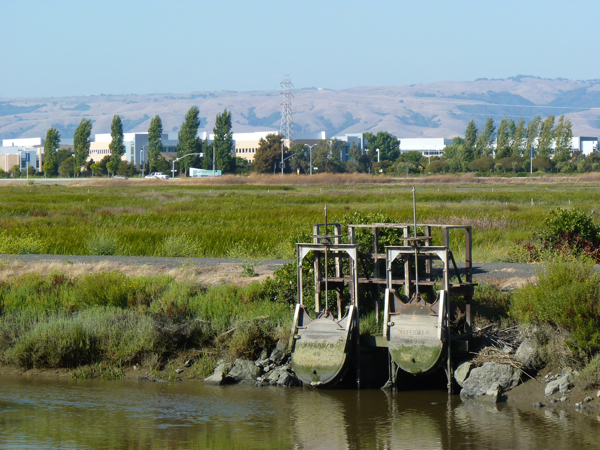 I had spoken to Paul (pictured at right) at the very beginning of my walk, when I was trying to figure out if certain Don Edwards SF Bay Refuge lands were open to hikers or not near Highway 84/Dumbarton Bridge, way back in 2009. 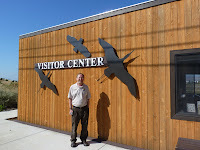 In this Visitor Center, in addition to maps and information, there were many interesting items to view -- including preserved likenesses of the illusive salt marsh harvest mouse, clapper rail (bird). 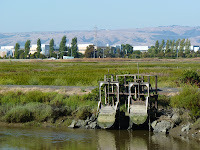 Sadly, I have not seen either one of these two endangered species during my two year walk around San Francisco Bay. 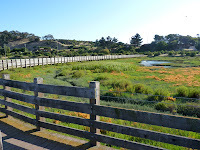 After continuing the walk (out to Thornton Avenue and back), I also walked the Harriett Spur and La Riviere Marsh trail -- even though the latter was not included on the Bay Trail map.